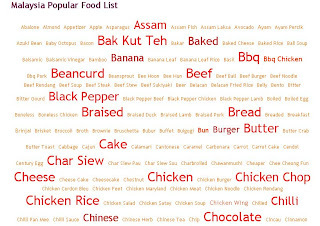 As of today, we have about 777 food keywords listed. Some include a broader category of food, such as Chicken, Beancurd (Tofu) or Salmon; while some are more specific such as Chicken Chop, Chee Cheong Fun or Pizza. To ease your navigation (in search of true love with food), we provide easy food linking (in addition to the existing location and cuisine linking) to all your favorites food at each Food Venue page.